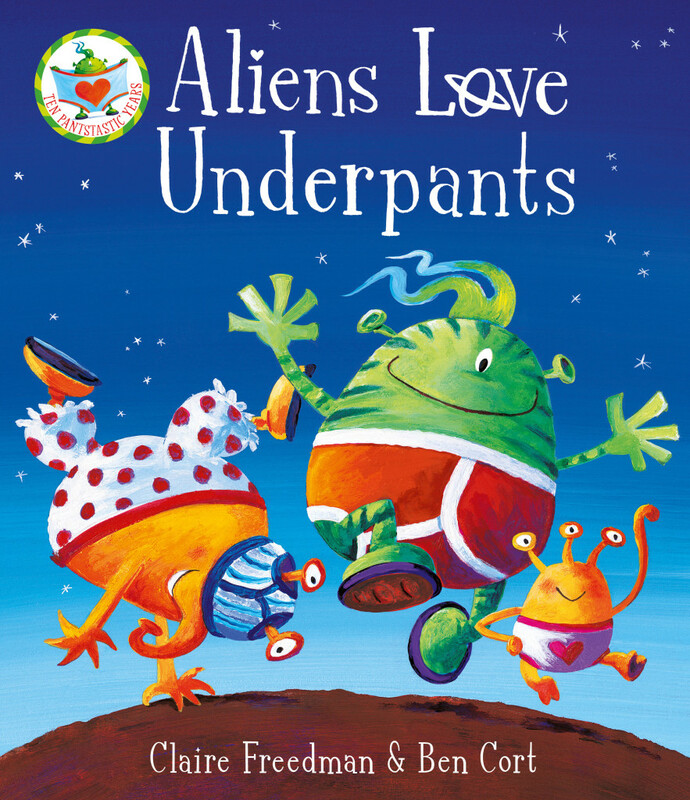 Welcome to the home of the international bestselling Aliens Love Underpants books by Claire Freedman and Ben Cort. Here you’ll find information on the books, fun things to do, competitions, information on upcoming events and much, much more. Plus you can sign up for the Underpants newsletter so you never miss out on all things pants! There are lots of Underpants books to enjoy – Aliens Love Underpants, Dinosaurs Love Underpants, Aliens in Underpants Save the World, Pirates Love Underpants, Aliens Love Panta Claus and Monsters Love Underpants and Aliens Love Dinopants. As well as the picture book adventures you’ll find a host of other Underpants books including sound books, board books, activity, novelty and gift books. More great trailers from the Underpants series can been seen on the videos page.